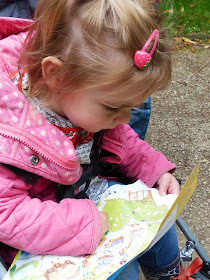 Readers of this blog will know that I've written often about the benefits of play (HERE) and the role that story has in learning and life (HERE). Play stimulates creativity and learning, language use, integration of many forms of learning, development of interpersonal skills, problem solving, collaboration with others, interest, engagement and challenge. So I was more than a little bit interested when I heard that LEGO had developed a new product designed to use their materials as a tool for language and literacy. The new product is called StoryStarter (see materials below) and uses LEGO play as a basis and foundation for speaking, listening, reading and writing and it is linked to school curricula. In many ways the concept that underpins the program is demonstrated in an excellent marketing tool that they have used to promote the product. 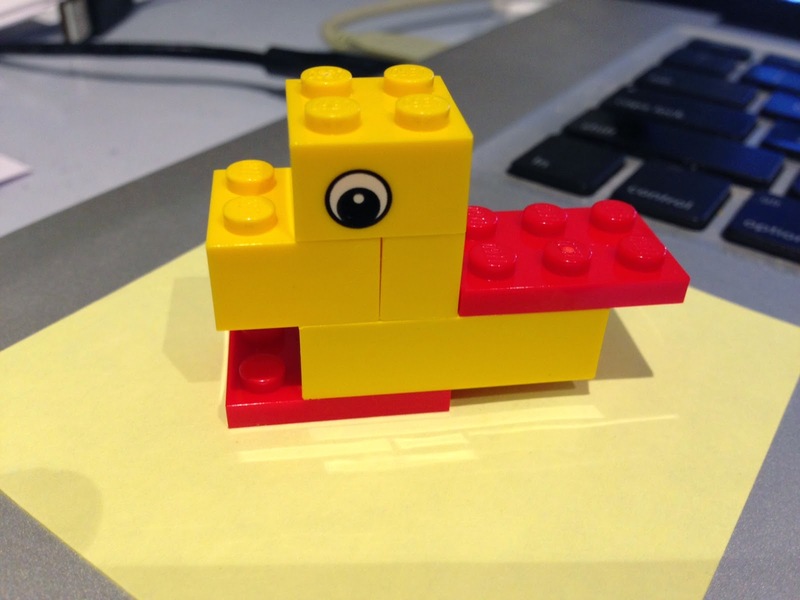 Six pieces of LEGO and the challenge to make a duck, show it to others, talk about it, take a photo of it, share it and so on. The new program offers 24 project-based activities that require its use to create, share, discuss, write about, photograph and share. Even the 6 pieces I used to make my duck could be used in countless ways to create a duck. I had great fun with my staff making ducks! This alone demonstrates the creative potential that LEGO has. StoryStarter is designed for grades 2 – 6 and provides a fun and innovative way of teaching literacy, communication and collaboration skills to students. It is specifically designed to align with key curriculum documents in the countries where it has been released. LEGO has conducted its own internal research and has also commissioned Dr David Whitebread from Cambridge University to do further research (see more below). The product was released in Australia just this week (24th March). It was first introduced in the USA and Russia in 2012 and will be adapted for release in 10 other countries in the near future. StoryStarter consists of 1,144 LEGO bricks and a number of LEGO plates with which students can work together, to build their own story in several sequences – the beginning, middle and ending (perhaps more than one). Once built these story sequences are input into the StoryVisualiser software, which uses images and words to tell and publish the story. Step 1 - The children use project-based activities (24 topics in all) that relate to Australian Curriculum Achievement Standards. They work together to plan a sequence of story events manipulating Lego pieces as part of the story making. Step 2 - They create scenes and images. 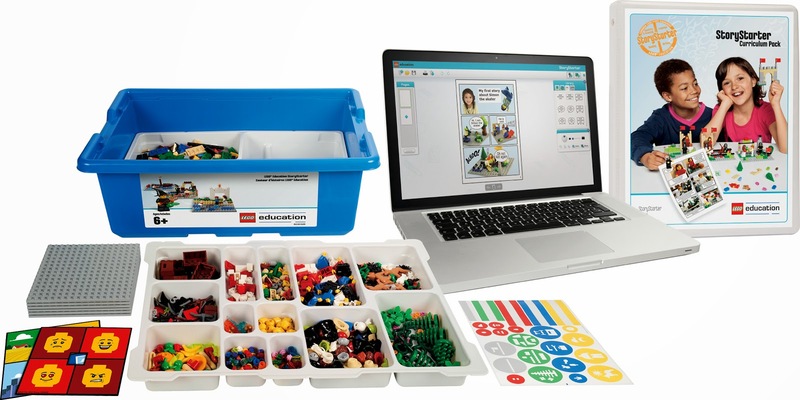 Step 3 - They use the Lego StoryVisualiser software by uploading their images and photos into the program to create a unique text by dragging and dropping. Step 4 - Share the stories with others. The StoryStarter kit costs $234.95 AUD (depending on what you include) and will be well received by children and teachers. A great feature of the kit appears to be the StoryVisualiser software that can be used on computers or via a special app for iPads. The software or app makes it easy for children to combine words and images. The app can be downloaded free from iTunes but you need a unique password provided when you purchase the product to use it. StoryVisualiser has a variety of layout templates that are applicable with varied written genres (narrative form, comic format, factual or fictional texts and so on). I can see some schools wanting more than one of these so that classes don't have to wait too long between topics. StoryStarter has a positive impact on the way students interact and collaborate. As students work in teams to create their story sequences, they have to navigate team work to complete their task in an open, non-judgemental environment. 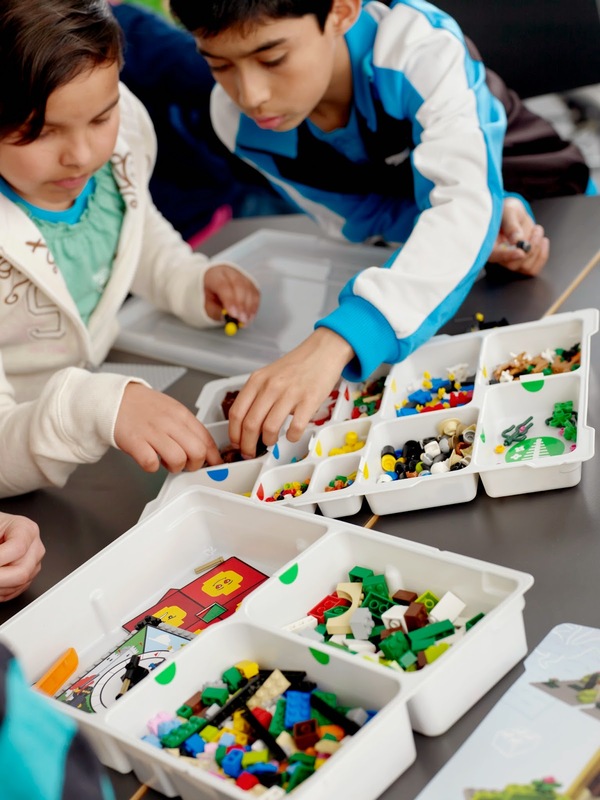 LEGO's internal research suggests that StoryStarter helps the students learn about teamwork. I haven't seen the full research yet, but I hope to do a more detailed assessment in a future post. The developers and teachers who have trialled the product suggest that because there is no one judging them, StoryStarter helps students who are shy or struggle with reading and writing to take an active part. "What’s really interesting is how StoryStarter brings out the student interactions with one another. Walking around during the lesson you can certainly tell who the leaders are, making sure their group stays on task, as well as the ones who are more likely to sit back and let the others do the work"
"StoryStarter has really helped the students with their storytelling and verbalising narratives. When we started the students would describe their scenes with only two to three words, but in just a few months this has expanded to three to four sentences. It’s helping them to get used to writing more complex sentences." 1. Identifying the main ideas in a text. A basic skill in developing narrative or story-telling skills is the ability to identify the main points or ideas in a text. 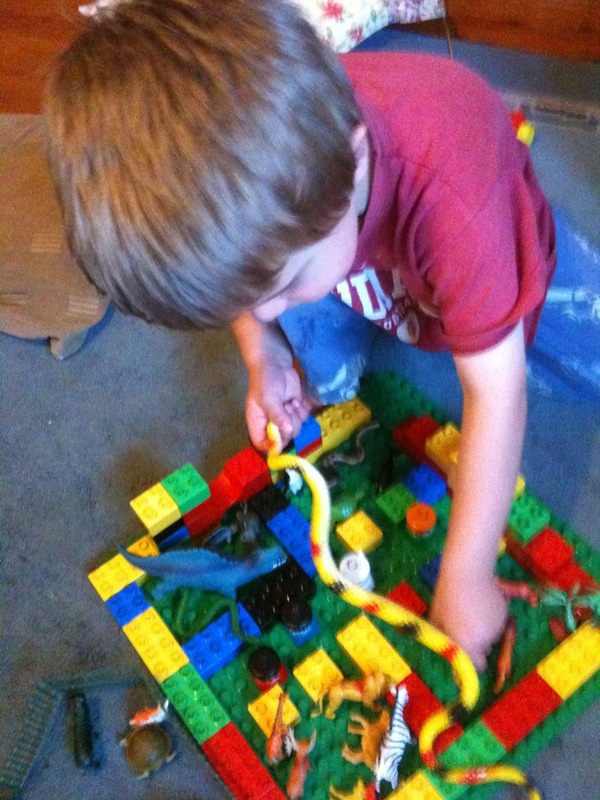 StoryStarter supports early development of these skills, as it requires children to identify a number of key moments in a story and to represent them concretely in the medium of LEGO bricks. 2. Providing a concrete narrative structure. In order to tell or write a story well you need to keep a lot of information in your head, about what has previously been said, what will happen later, and so on, while you are saying or writing each part. As StoryStarter involves the construction of a concrete 3-D representation of the story, this provides an external memory aid which supports children’s ability to plan the structure of their story, to reflect upon it and to modify it until it is well structured and provides a clear narrative, with a beginning, a problem and a resolution. 3. Expressing ideas in different media. 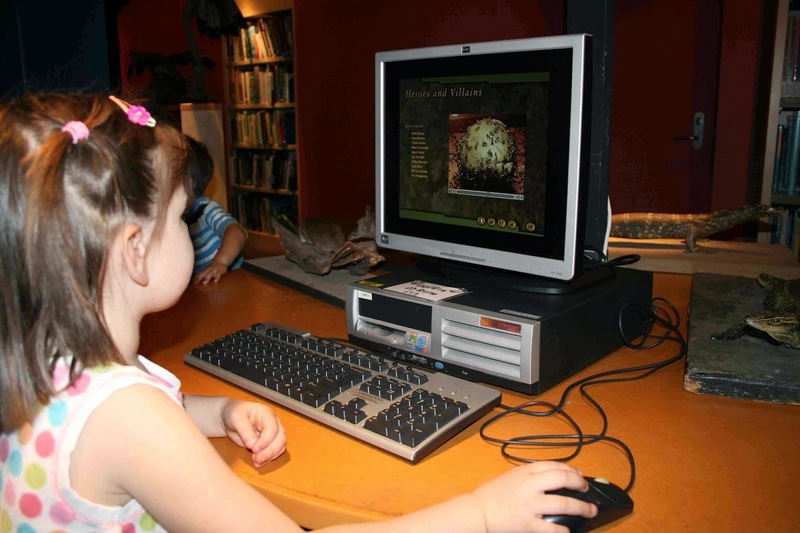 As using StoryStarter to construct narratives involves children in representing their ideas in various different media (i.e. in oral narrative or discussion, in 2-D drawings, in 3-D LEGO bricks, in 2-D photographs, through speech bubbles, in writing, and in a story book format combining pictures and text) it supports children’s developing expressive abilities, their metacognitive understandings of the roles of different modes of expression, their ability to think through ideas in their heads, and to make effective use of a repertoire of representational tools when tackling challenging tasks. 4. Language and thinking. Children’s metacognitive and self-regulatory abilities are key determinants of success at school and as learners. These abilities involve being aware of their own abilities, developing a repertoire of mental strategies for problem solving, and effectively using these mental resources when faced with novel tasks. Learning to use language to think and to reason is supported by these abilities. StoryStarter encourages children to talk about and justify their ideas, to listen to others’ ideas, and to work towards agreed solutions. 5. Play and learning. A playful approach has been shown to lead to more creative problem solving in a variety of areas of learning, including storytelling and writing. Learning to write stories using StoryStarter has several playful aspects to which children are very positively disposed, including the use of LEGO bricks and computer-based technologies. It enables a degree of hands-on, flexible and playful enactment of parts of the story, which is known to support the development of imagination and creativity, alongside social learning about human motivations, relationships and so on. Note: I have received no incentives or benefits to write this post. The research referred to above is yet to be fully assessed as is the product but early indications are that this will be a very useful aid to learning. I hope to do a further post in the future once I have had a chance to assess the product more fully. 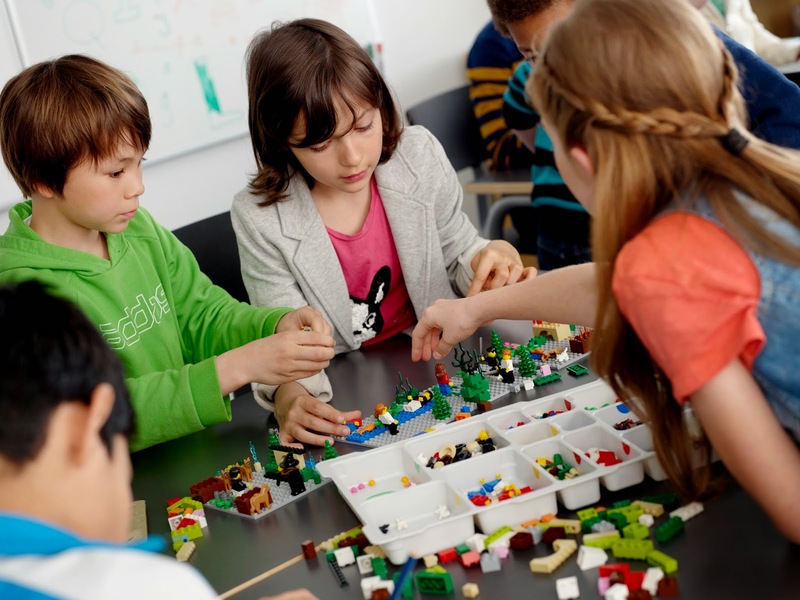 I was able to interview Lisbeth Hattens, Educational Manager of LEGO based in Denmark, who offered some additional insights and information on the product and its development. I love this book! Of course I approach it as a lover of birds and wildlife, a person who always has an eye towards the sky. I also love clever well-written, designed and illustrated picture books. This book ticks lots of boxes for me. And it will for readers of varied ages. 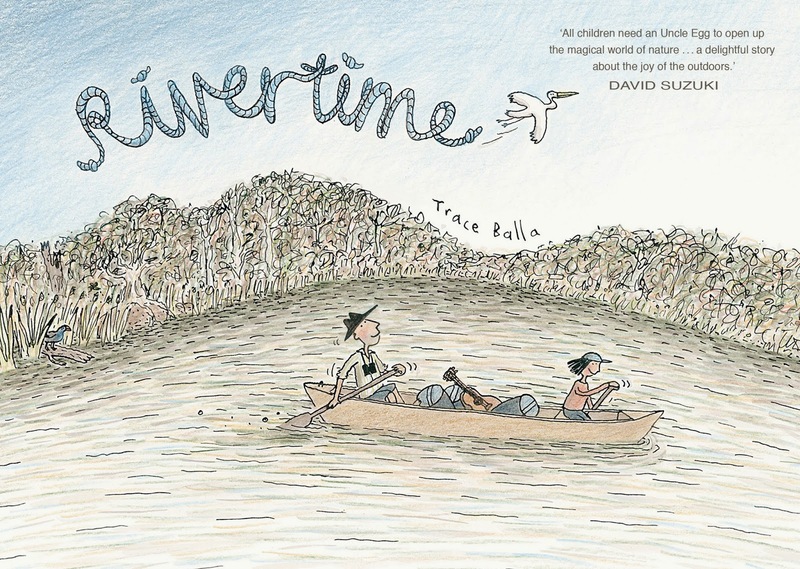 It is a lovely story of a boy and his bird-watching uncle who head off on a paddling trip on Australia's Glenelg River. Like many 10 years old boys Clancy doesn't see much appeal in camping and leaving behind technology. And then of course there will be mosquitoes and other things that bight. This is a story told in word and image. The illustrations are cartoon-like and work wonderfully well with the text to tell this story about slowing down life, growing up, and connecting with the land and its creatures. Readers aged 6-11 will love this quirky book. NB The book is due for release on 26th March 2014. This is the story of a young girl called Cartwheel. She leaves her war-ravaged country and heads for somewhere seen as safe. But the new country is so strange and foreign that she is confused and wonders who she is. She finds comfort in a metaphorical blanket. This is a blanket of words and sounds. A young girl offers her friendship and teaches her some words. Cartwheel takes these words and begins to create a new blanket. This is a blue-grey blanket of angular sounds. And from these words and sounds she learns new things. At first it is all too hard, but over time her angular world develops a smoother and more comfortable form and is as warm and familiar as her old blanket. 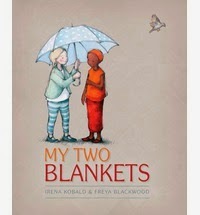 "The metaphorical blanket was a difficult concept to illustrate and took me a long time to solve. But I was really attracted to the idea of a visual interpretation of feelings, sounds and words. "I'm away with the pixies"
"I have ants in my pants"
"That I must stop running around like a headless chook"
"My room is like a pigsty"
"When her ship comes in"
Tom Jellet's simple silhouette-like illustrations that use 2, 3 and more colours to great effect helps to add to the sense of fun in the book. 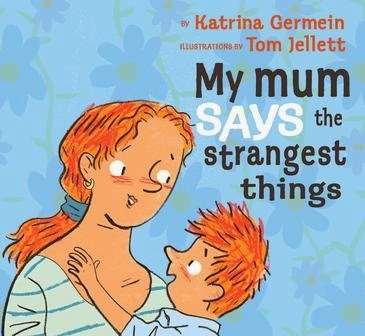 This book will make children laugh and generate more language play as children share their own strange things that parents say. Children aged 4-7 will love the book. 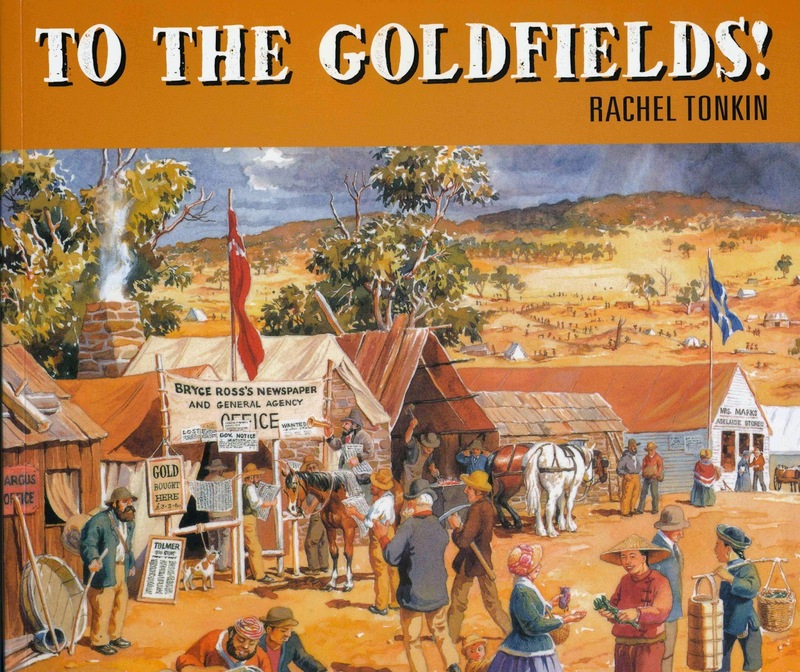 This is a picture book that tells the story of a family that goes to the gold diggings in the 1850s, and the life they lived there. At that time Sixty thousand people headed off to seek their fortune, shouting, singing, laughing and sometimes arguing and fighting all at once. This was a scene of chaotic digging, sluicing, cradling, panning and puddling in the creek. But there were also deep and dangerous mine shafts, claim stealers, bushrangers and more. People from all around the world came to the one crazy place, to look for gold. 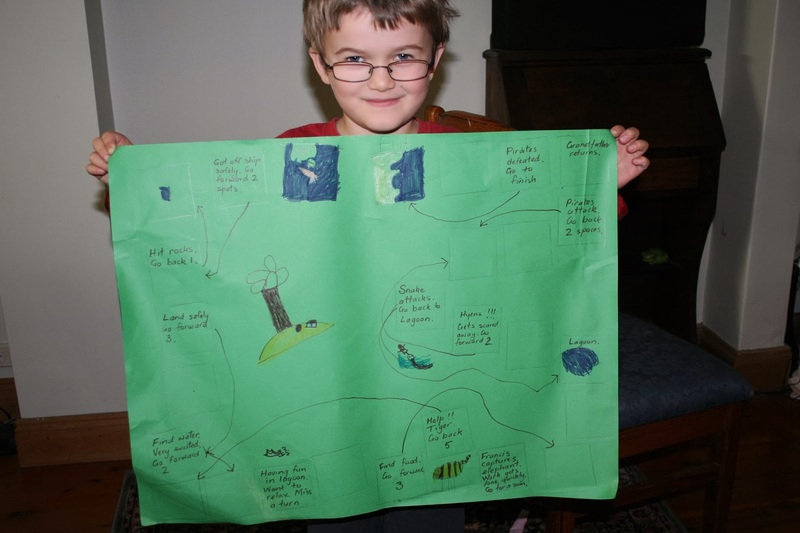 The story is told through the eyes of a nine-year-old heading off with his family. Life was different. He lived in a tent, slept on mattresses stuffed with leaves and sometimes ate parrots that his Father had shot. 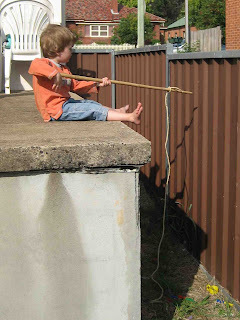 He played quoits and marbles with friends, fished for yabbies and made kites. They witnessed miners hiding from troopers and drunken arguments and fights at night. Rachel Tonkin's wonderfully rich waters colour and line drawings and her vibrant text bring this era to life. It is a wonderful example of history being communicated to children in faithful and exciting ways. This is highly recommended for children aged 6-12 years. Before 1901 the nation of Australia did not exist. Queensland, New South Wales, Victoria, Tasmania, South Australia and Western Australia were six separate colonies under British rule. But among the people of the colonies, the idea of unity was emerging as "a whole continent for a nation, and a nation for a continent". 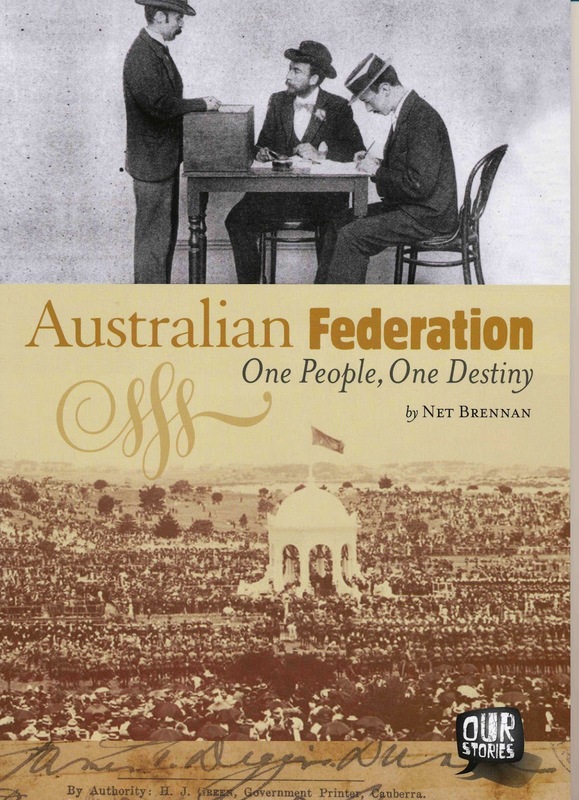 This is the story of how ordinary citizens became the first in the world to write and vote for their own Constitution, and how they came together to form the nation of Australia. Since this is a curriculum topic for upper primary children in every state in the new national curriculum, this book will be well received. This is a delightful book for readers aged 2-5 years. It is a counting book that uses non-rhyming verse and repetition to good effect. Of course we end up with two, then three, four and five before 'lots' of chooks pull the 'worm' out and receive a great surprise. The carefully crafted words of Jan Whiten are beautifully supported by Sinéad Hanley's images. These use pencil, paper cuts, textures, surfaces, screen-printing and colour in abundance. 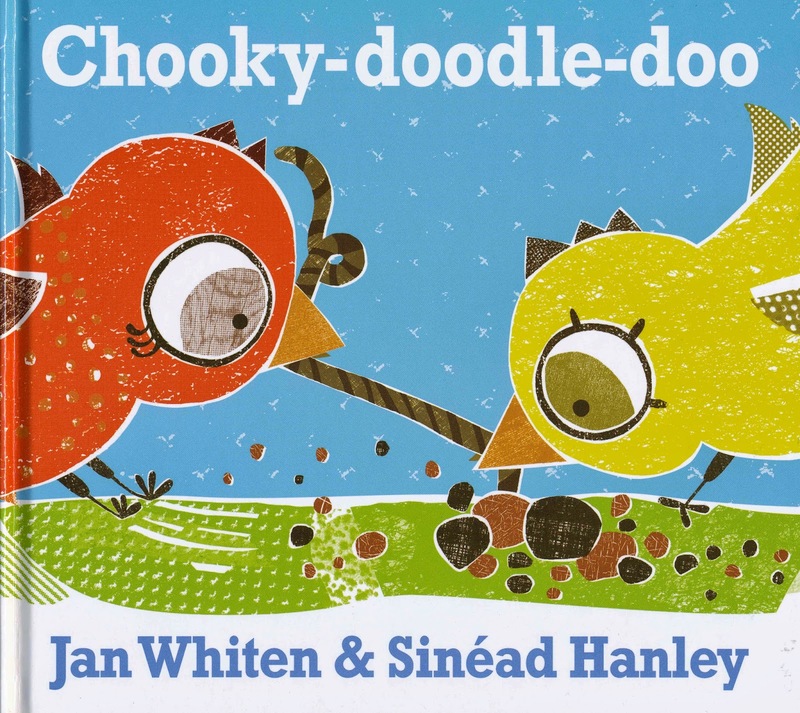 Chooky-Doodle-Doo is the first book for both author and illustrator. John Schumann wrote an unforgettable song 'I Was Only 19' in 1983 with the band Redgum. It had the memorable refrain 'God help me, I was only 19'. The lyrics of this well-known Australian song have been brought to life in a children's picture book illustrated by the widely acclaimed Australian illustrator Craig Smith. 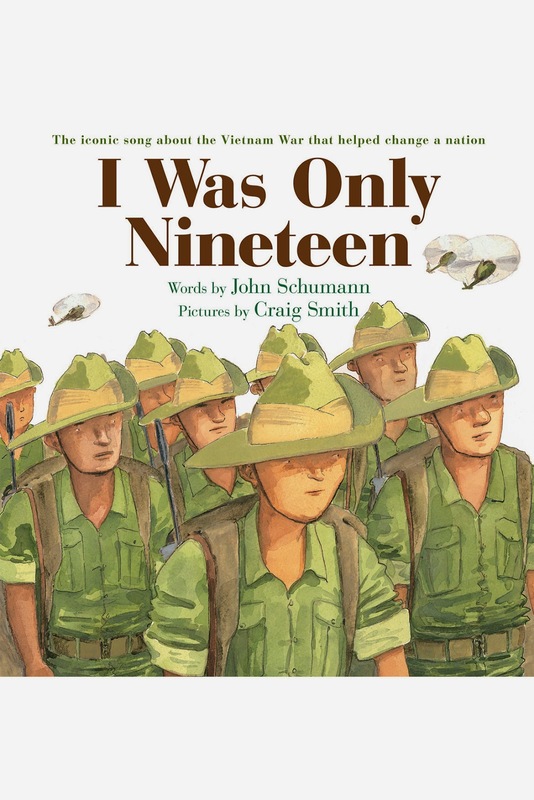 The lyrics are used exactly as in the song and with Craig Smith's wonderful water colour and line drawings are a moving reminder of the Vietnam War. This was a war that was fought in different ways to the previous great wars and had less universal support than previous conflicts in which Australia and other nations had fought. This was a war that for many didn't seem 'quite real', and our servicemen still carry the physical and mental scars. The book is a moving insight into a war fought by young men who knew little about the country in which they fought and why they were there. It would be an ideal book to share with children aged 6-12 years as we approach ANZAC Day in Australia on April 25th. 8. 'Journey,' written and illustrated by Aaron Becker and published by Candlewick Press. This is the first children's book by Aaron Becker who is an experienced artist; it is 'a masterwork' (to quote the New York Times). It is a story told completely using through images. It tells of a lonely little girl in a dull world, which she longs to escape. The sepia-toned city images give way to a world of colour when one day she takes a red crayon one day and draws a doorway on her bedroom wall that permits entry to another world. This is a completely different world of colour and imagination. Bedroom walls give way to an incredible walled city where every challenge and need can be solved with the stroke of her new tool to other places. The imagination is all that it takes to be transported to other places. In new worlds filled with the product of such imaginings our main character soars and navigates air and water, escapes problems and challenges and triumphs. Even on her return life now has more colour and life. Children aged 3 to 7 years will enjoy this stunning picture book. The book was named as one of just three honour books for the prestigious 2014 Caldecott Medal. This is a true story that has been a long time coming. It tells in a fair but powerful way of the racism that has often existed in armed forces around the world. 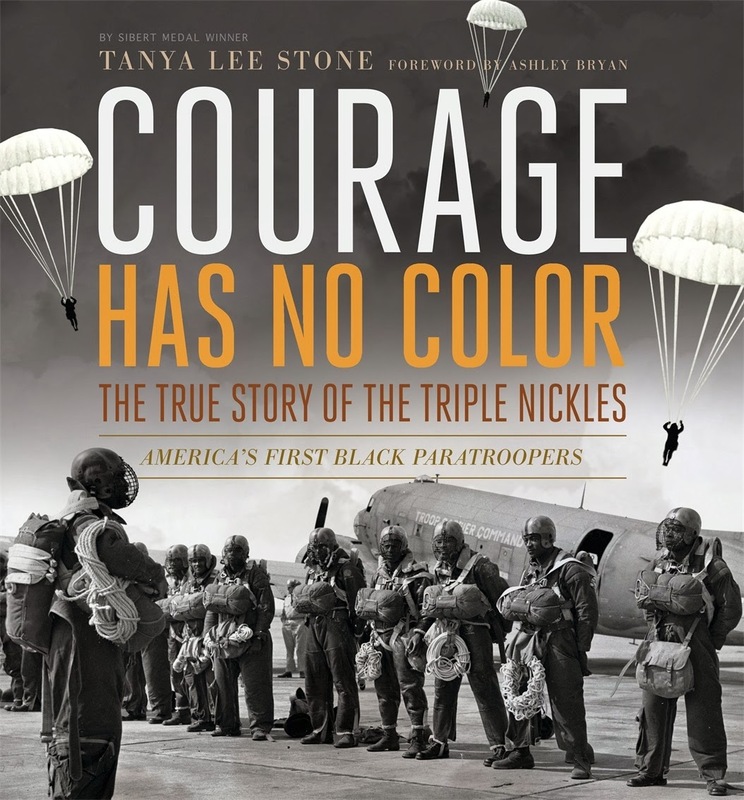 Americans may well have heard of the Tuskegee Airmen, but few would know of the 555th Parachute Infantry Battalion - the Triple Nickle. These were the first US black paratroopers. They showed that black soldiers could do anything their white counterparts could do. The text and over 100 carefully labelled photographs in this 150 page book offer us an insight into how some brave and persistent African American men paved the way for others to be a full part of the US armed forces. Tanya Lee Stone (author of 'Almost Astronauts') has done extensive research to tell her true story for readers of all ages. Boys in particular will love reading and looking at the historic photos. The work took Stone almost 10 years and the meticulous care and passion shows in this wonderful book. This amazing story will challenge all readers irrespective of age, race or ethnicity. It is a very worthy winner. The book recently won the YALSA Award for Excellence in Nonfiction, it was published by Candlewick Press. This prestigious American award honours the best nonfiction book published for young adults (ages 12-18). This latest book in the Walker Illustrated Classics series is stunning! Robert Ingpen is at the top of his craft in this work. As usual, his illustrations offer extraordinary detail. He uses a variety of media, including watercolour, pencil, and pastel. But whatever the media, the detail is always amazing and at times almost breathtaking. He brings characters to life. Each of the 36 chapters have a double page spread that offers an engaging start to each new chapter in the life of this mischievous puppet. The first double page for chapter 1 shows the carpenter Mastro Cherry in his workshop. You can 'drink' this in for ages before wanting to read on. Fantastic! 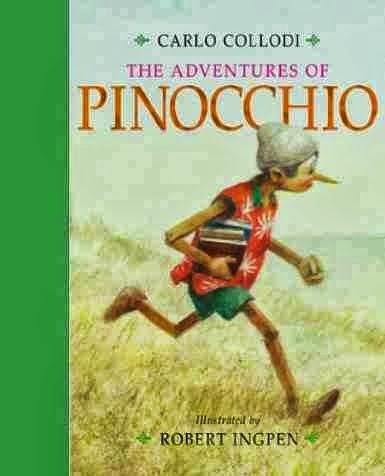 What is also wonderful about this volume is the fact that it is based on the original text of Pinocchio published first in 1883 from a collection of separate chapters that appeared previously in an Italian newspaper for children. This is not the Disney form of the story. This is a more 'gritty' tale that will surprise you in places. The original Collodi version portrays a strange topsy-turvy world that hints at Tuscany and where sinister things happen. The young Pinocchio lurches from one problem to another, just surviving on many occasions. In fact, Collodi meant for him to die after chapter 15, but his readers were so outraged that he was forced to continue the story for another 21 chapters and give it a more satisfactory ending for the wooden puppet that becomes a boy. As with all of the books in this series, the book design is stunning. All have hard covers, think paper and coloured pages throughout in varied soft tones. These are handsome, 'rich' collectors' editions that make you want to read the stories. 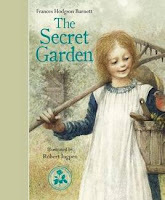 Robert Ingpen is one of Australia’s most successful illustrators and has written and/or illustrated more than 100 books. He was born in 1936 and did most of his growing up as a boy in Geelong. From an early age he was obsessed by stories and says that at times he had trouble distinguishing fantasy from reality. Now as a man in his 70s he sets a pace that few could match. He is arguably Australia's greatest children's book illustrator and is one of the best illustrators of our time anywhere in the world. You can read more about the illustrator and his work in my previous 'Author and Illustrator Focus'. This latest book in the Walker Illustrated Classics series is stunning! Ingpen is at the top of his craft in this work. As usual, his illustrations offer extraordinary detail. He uses a variety of media, including watercolour, pencil, and pastel. But whatever the media, the detail is always amazing and at times almost breathtaking. He brings characters to life. Each of the 36 chapters have a double page spread that offers an engaging start to each new chapter in the life of this mischievous puppet. 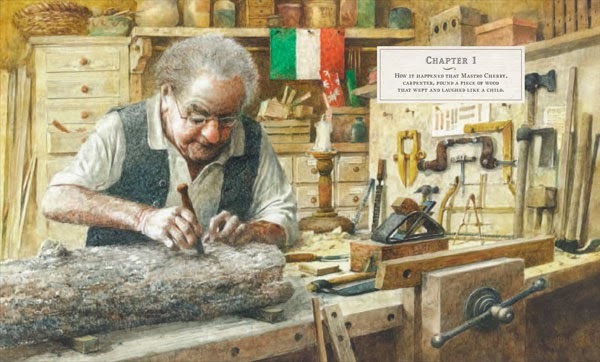 The first double page for chapter 1 shows the carpenter Mastro Cherry in his workshop. You can 'drink' this in for ages before wanting to read on. Fantastic! 'The Adventures of Pinocchio' (2014) written by Carlo Collodi. All of the books in the series are stunningly designed and illustrated. They stand out on any book stand with quality hardback covers (with individually appropriate embossing), quality stitching, dust jackets that are consistent in design, featuring gold lettering for titles and fonts and design features throughout that are suggestive of classic books that are in some cases over 100 years old. The books ooze quality - you can't help but pick them up. The illustrations utilise all of Ingpen's strengths, with hardly a double page spread in any of the books without illustrations, and many with more than one. The double page spreads, chapter divisions and inside cover images are of superb quality, and show Ingpen's attention to detail. All the illustrations have the typical Ingpen fine line detail and wash colours that always give softness to the image. 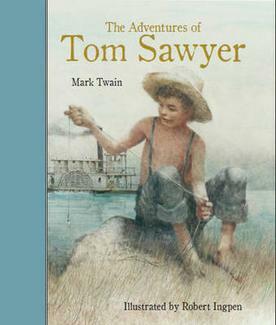 The cover of 'The Adventures of Tom Sawyer' is typical of the design of the books. Robert Ingpen has received many awards. He was probably first noticed as a great talent when he did the illustrations for Colin Thiele's classic book 'Storm Boy'. This led to a long collaboration with Thiele. His work on 'Storm Boy' won him his first award, 'The Visual Arts Board Prize' presented by The Australia Council for the Arts. The list of awards that followed is significant and recognise his extraordinary skill. As well as the Hans Christian Andersen Medal already mentioned that was awarded in 1986, he was awarded the prestigious Dromkeen Medal for significant contribution to the appreciation and development of children's literature in 1989. 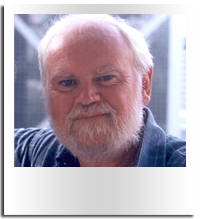 He was also awarded an honorary Doctor of Arts from RMIT in 2005 for contribution to children’s literature and in 2007 he was made a member of the Order of Australia for service to literature. A major retrospective exhibition in Taipei, which travelled to other regions of Taiwan for a two-month period (2009). An exhibition of the original artworks for 'Around the World in 80 Days' was held in London (2009). In 2002 Ingpen had a solo exhibition in Bologna, Italy. In 2002 Ingpen's work also featured in the inaugural exhibition at 'The Eric Carle Museum of Picture Book Art' (Massachusetts). 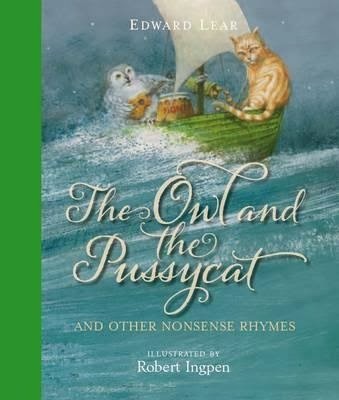 Complete List of Robert Ingpen's writing and book illustrating can be found in my previous post on the illustrator HERE. The vexed question 'Is homework useful?' is never far from conversations between parents about school, or between teachers when discussing parents. Like every teacher I have felt the pressure of parents wanting their children to do more homework. In spite of this I have never been a fan of homework in the primary years of schooling (age 5 to 12 years). Yes, homework does have a place, but not the exalted place that many parents want to give it. 1. Because the vast majority of homework is banal and features drill of things that contribute little to the areas in which we want children to learn. Memorising spelling lists is a case in point (see my previous post HERE) with little contribution being made to the ability to write well. 2. Because school homework is often a substitute for things that are more critical to children's development. For example, play (posts HERE), discovery learning and problem solving (posts HERE), creative expression in varied forms and (dare I say it, rest at day's end). 3. Because it allows society at large to fill the school day with other things that parents have failed to teach their children and simply shift curriculum work to the category of homework, which has to be packaged in bundles that children can complete largely undirected (see #1). 4. Because it reinforces narrow definitions of learning, curriculum and assessment. Homework ends up being a type of test of that which should be learned at school, and this in the name of practice. In short, school becomes squeezed by the imperative to test children's learning for public assessment (see related posts HERE), and the hours after school end up being used for largely non-directed and repetitive tasks that help children to pass tests delivered at school. Is there an alternative? Yes! Step 1 - Ensure that any after school time whether at home with a parent or carer or in after school care is spent well. Set high standards. Step 2 - Control access to the things that distract children from rich learning and exploration. I'm thinking of course about 'screen' time (limit daily screen time), computers, gaming and television. But you may need to limit other things (that have merit and are useful) and become obsessive and shut out other options for learning. Step 3 - Apply some simple tests for any after school 'homework'. Does it develop new knowledge and skills? Does it expand repertoires for learning - discovery, imaginative recreation, dialogue, observation etc? Is it enjoyable and challenging? Step 4 - Make sure that you know what your children are doing, that you monitor it, and that you show genuine interest in what they are doing. What might post school time look like? Hopefully time after school will have a level of planning (kids you need to do X, Y, & Z). Make sure that set agendas like sporting practice, music etc don't shut out everything else. Start with down time - let them rest, talk to other people about their day, feed them, let them have some time to choose what they do (within predetermined limits). Incorporate varied activities - some time outside to run around in an unstructured self-directed way; a time for exploration and discovery (this can include reading, viewing, hands on activities like craft drawing, construction etc); a time for school directed homework (I'd limit this in the primary years to no more than five times their age, i.e. thirty minutes aged 6, fifty minutes aged 10 etc); self-directed reading (e.g. HERE, HERE, HERE & HERE); family down time to chat and hang out. I understand that the complexity and varied nature of family life will always make after school time 'messy'. But we need to ask ourselves, how messy is it? What negative impact is the messiness having on family life and learning? What can I do to change things? One thing I am certain of, the solution to the messiness isn't simply to ask schools to set more banal tasks, disconnected from 'real' learning which we police with minimal supervision. I would love to hear your comments and suggestions.